Tom Doctoroff is the CEO of J. Walter Thompson Asia Pacific and is one of Asia’s most respected advertising professionals. He has appeared regularly on CNBC, NBC’s The Today Show, Bloomberg and NPR, and is featured in publications ranging from the Financial Times to the Wall Street Journal. He is a sought after keynote speaker for events such as the International Advertising Association’s global symposium, University of Chicago’s Global Management Conference and the JPMorgan Asia Pacific Equities conference. Tom started his career at Leo Burnett in Chicago but jumped ship to JWT. 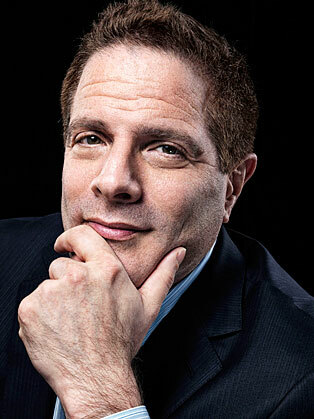 In 1994, he moved to Hong Kong as Regional Business Director for clients such as Pepsi, Kraft and Citibank. In 1998, he landed in China as the Managing Director of JWT Shanghai and in 2002, was appointed Northeast Asia Area Director and Greater China CEO. In 2013, he was appointed the CEO of Asia Pacific for the J. Walter Thompson company. Through diversification into digital, trade marketing and field marketing, JWT Asia Pacific has emerged as one the most synergistically integrated, creatively dynamic communications networks. Some of JWT Asia’s key clients include: Unilever, HSBC, Ford, Nokia, Microsoft, Mattel, Kellogg’s and leading local enterprises in different markets. Tom is the recipient of the “Magnolia Government Award,” the highest honor given by the Shanghai municipal government to expatriates and was an Official Torchbearer for the Beijing 2008 Olympics. He is the author of the best-selling books “Billions: Selling to the New Chinese Consumer” (2006) and “What Chinese Want” (2012). He published his third book, “Twitter Is Not a Strategy: Rediscovering the Art of Brand Marketing,” in November 2014.